Katrina Meynink is a freelance food writer and recipe developer who lives and breathes all things food. She is particularly fond of butter, Persian fairy floss and bacon. But her biggest love is cooking and sharing food with her family and friends. Professionally, Katrina eats (a lot). And then writes about it for national and international press, drawing on her extensive tertiary and culinary training. She has two published cookbooks (Murdoch Books) under her apron, with a third due for release in 2018. 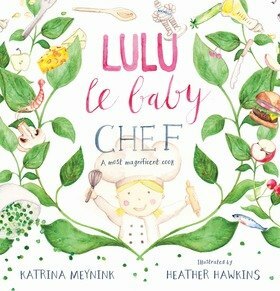 'Lulu Le Baby Chef' is her first children’s book. Motivated by the mutual love of food she shares with her daughters, Katrina wove her experience as a food writer, food lover and mum into this engaging and heart-warming tale.